Meltdown at Harris Lake, 6 hour race, March 9th. TORC presents the Meltdown at Harris Lake the 3rd race in the TORC 2012-2013 Endurance Series. 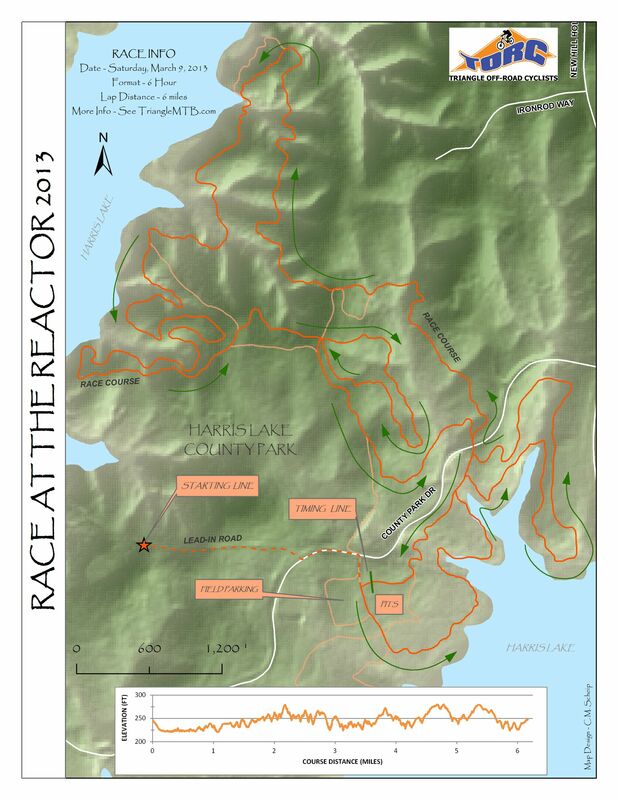 The Meltdown is a six hour race on the fast and fun Harris Lake County Park Trails. Recreation: A non-competitive class for riders who wish to take part in the event. Laps will be timed, but we will not be postings standings in the race results. Please come ride and learn the Harris Lake trail. Feel free to ride as much or as little as you wish. Partake in the experience of an endurance event while helping to support TORC. Meltdown has a field limit of 100 paid participants. Registration will be closed when the limit is reached. Please note: you must pay the entry fee to register; a simple RSVP for this Meetup is not sufficient to register. Also note, there will be no on-site registration if the field limit is reached before the race day. The rain date for this event is 3-23-2013. Here’s hoping we don’t need to use it! Help is needed to mark the course, clean up and marshal. Duos willing to serve as marshals and/or racers who bring a marshal get free entry! Racers who help mark the course and/or clean up get a reduced entry fee. Please contact me for details.